Red Apple Convenience, 2000 W. Chicago Ave., made a presentation to EVA members March 5 on its liquor license application. At the board's request, Chicago Police Lt. Roy Whitmore outlined the liquor license review process. Whitmore had a previous conference call on the issue with Local Liquor Control Commissioner Gregory Steadman and Police Cmdr. Frank Gross. There are 2 main reasons to deny a liquor license application: a law-enforcement objection or negative quality-of-life concerns from the community. In a law enforcement objection, police looks at data related to crime occurring in the past year at the address and within a quarter-mile radius. It is unclear which data Cmdr. Gross will share, or if EVA must file a Freedom of Information request to obtain data. Many present were concerned that looking backward for a short period (less than a year, since Red Apple only opened in November 2011) is not sufficient to make a case for or against the license. The board suggested that comparing similar locations and stores would be more beneficial. Cmdr. Gross must state the facts under oath, Lt. Whitmore said, and it would be difficult to speculate on future impacts, negative or positive. If the data support it, police will recommend a denial, but the applicant may appeal. If the appeal (by a three-person panel) is lost, there are no further options. Quality-of-life issues such as noise, parking, litter and security can be brought up as objections. According to Lt. Whitmore, it doesn’t necessarily matter how many objections are brought up  it's their content that matters. Per municipal code, the applicant then may submit a plan of operation that addresses the objections. If the plan is reasonable, the license will be approved. Specific objections should be stated in a letter to the liquor commission. Suzanne Wahl has a meeting tentatively scheduled with Cmdr. Gross on March 16, and the commander will also get back in touch regarding what data can be shared. Plans for apartments at 1815 W. Division St., presented in a March 6 hearing, were essentially unchanged from renderings EVA reviewed in the fall. Two Lettuce Entertain You restaurants are the anticipated ground-floor tenants. Current zoning on the site allows for 1 residential unit per 1,000 square feet of lot, or 21 units. Greg Nagel suggested that 4 stories (1 commercial + 3 residential for 39 units, 4 of them affordable housing) would be a compromise between the ‘as-of-right’ 21 units that the developer can build without zoning changes and the developer’s expanded plan of 5 stories (4 residential + 1 commercial; 52 units, 10 of them affordable housing). Neal McKnight suggested opening a discussion with developer Bill Smith and other neighborhood groups. EVA’s Planning, Preservation & Development committee will bring a recommendation to members and invite Smith to the meeting. In a poll of this meeting’s attendees, 6 are for the ‘as-of-right’ 21 units, while 5 are for the 39-unit development. We will wait for Smith to get back to us so we may better understand his thoughts and continue the conversation. One more suggestion by committee chair Scott Rappe would be to allow 39 units but reduce the parking requirement. Rich Anselmo felt that apartments would be difficult to lease without parking. Directors discussed how to encourage letters to the alderman on this and other issues. Greg Nagel suggested form letters that members could easily sign electronically. Some felt that this would not be given the weight of a personal letter or phone call. Dana Palmer now has the 12 dispensers but has been having a hard time finding homeowners willing to install them on their property. Several attendants volunteered to install them and check around for more locations. The smaller tree pits were discussed with Ald. Proco Joe Moreno (1st Ward) in a Feb. 28 meeting. What Prasino restaurant has done at 1846 W/ Division St. is fine because the trees are new and the grates have been installed over them, but if the trees ever grow to a point where necessary, the grates will have to be removed. Nobody will get additional space in tree pits. Letters to Moreno will thank him for support on the pedestrian designation for Chicago Avenue, with a second letter once it officially passes. McKnight will send a thank-you note to Manny Guzman of Pierre’s Bakery for providing petit fours at the March 5 membership meeting. EVA will produce a pamphlet explaining who we are and what we do, including a membership application. Board members discussed ways to raise community issues during elections. While EVA does not give endorsements, the group could hold candidate forums, publish questionnaires or rate incumbents on their responsiveness. Attendance: Officers Neal McKnight, Peter Locke, KK Goh, Meghan Quinn; directors Gladys Anselmo, Greg Nagel, Scott Rappe, Stephen Rynkiewicz, Tom Tomek; non-board members Rich Anselmo, Aaron Bilton, Dana Palmer, Lt. Roy Whitmore. Meeting commenced at 6:40 pm, adjourned 8 pm. 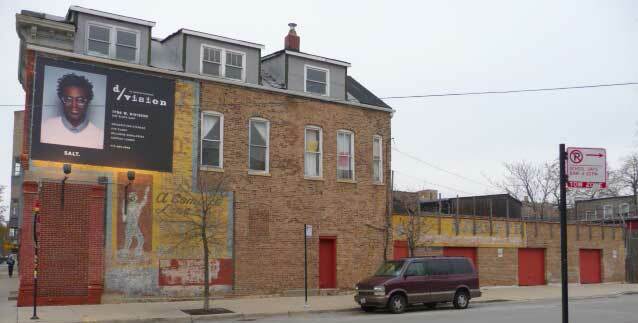 April 2 meeting: 7 pm at Happy Village, 1059 N. Wolcott. Scheduled guest speakers: Ald. Bob Fioretti (2nd Ward); Comrade Cycles.